Produce cost reports in five minutes! A time-tested resource for using the cost approach to produce single-family residence appraisals. Customizable reports consider all significant cost variables and both physical and functional depreciation. Data based on our trusted National Building Cost Manual! Store, print and share customizable reports. $14.99/mo for unlimited use. Cancel anytime. Store, print and share customizable reports. Just $14.99/month for unlimited use. Cancel anytime. Why National Appraisal Estimator Pro? The National Appraisal Estimator is an online appraisal estimating service for "cost approach" valuations. In ONLY five minutes you can estimate the appraised value of nearly any single-family home considering all significant cost variables and both physical and functional depreciation. 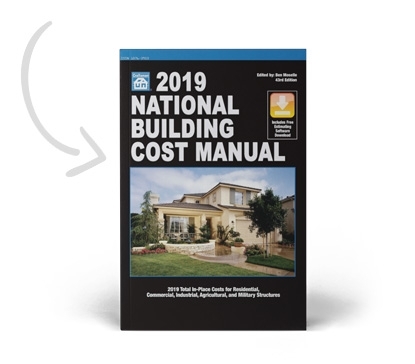 The online software is based on the latest version of our highly popular National Building Cost Manual including unlimited upgrades, free technical support, and unlimited valuation reports. Reports cover all important variables including more than 30 construction cost categories, adjusted for geographic area and include functions required by state laws such as California 10 CCR 2695.183 and Florida ATB #006-10. You get unlimited reports for one low monthly price. 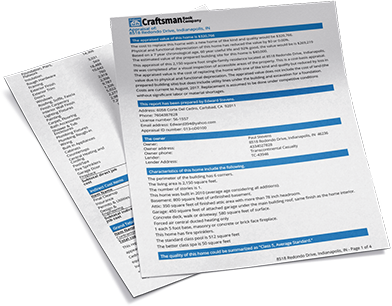 The National Appraisal Estimator mirrors Uniform Appraisal Dataset (UAD) quality ratings and uses the same component-based models as Craftsman Book Co.’s National Building Cost Manual, a trusted print publication since 1975. Save even more time by creating templates to re-use for future reports. Create as many templates as you need. 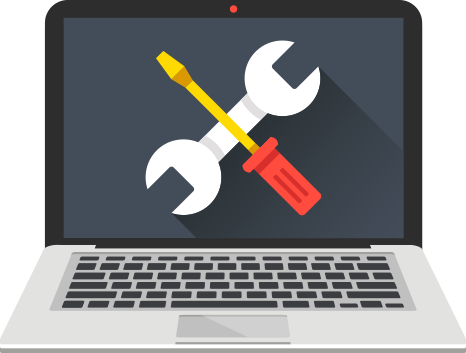 Whether it’s a quick question or more tricky stuff, our support team is here to help you make the most of the National Appraisal Estimator. I've been using your products for a long time. Your software gives me the best estimates. It's very rare that a contractor challenges a cost estimate that I've prepared. Thanks so much!!! Love your product - haven't used Marshall & Swift since I found you guys and your great products! A good estimating tool with lots of detail, my accuracy has been within 10%! Craftsman (cost data) is the best in the business. I've been to court and the data stands up well. Excellent software. I've been using this software for 12 years! Do you have a question about National Appraisal Estimator? See the list below for our most frequently asked questions. If your question is not listed here, then please contact us. What's included in the National Appraisal Estimator report? All construction costs including labor, material, equipment, plans, the building permit, supervision, overhead and profit, physical and functional depreciation. Craftsman Book Company has published detailed construction cost data for over 50 years. 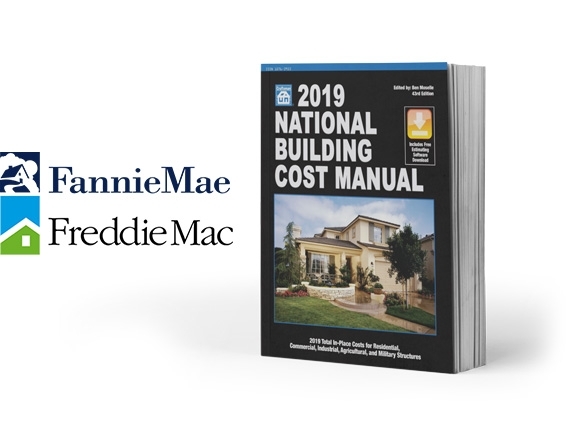 Costs in Insurance Replacement Estimator are based on Craftsman's popular annual reference National Building Cost Manual. National Appraisal Estimator is not a substitute for judgment, analysis and sound valuation practice. It's an aid in developing an informed opinion of appraisal cost. There's room for legitimate disagreement on appraisal costs, even when complete plans and specifications are available, the date and site are established, and labor and material costs are identical for all contractors. What costs are not included in the National Appraisal Estimator report? Site development (such as bringing utilities to the site), government mandated fees and the cost of overcoming unusual soil conditions. 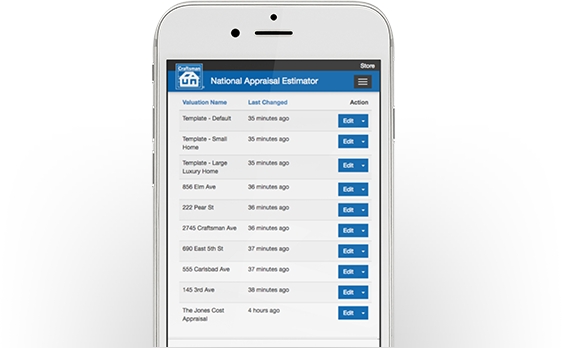 National Appraisal Estimator makes it easy to add the cost of features such as heating and cooling (including unit heaters), porches and decks, basements, balconies, fireplaces, garages and attics. How much detail is in the report? Get Unlimited Reports for Only $14.99 per month!